I'm trying to run an .iso of SSBB on my Wii, but am receiving the error "USB Device not found. Switching to channel list mode" constantly, even while using a device on USB Devices Compatibility List - WikiTemp that is known to be compatible. Using USB Loader GX from USBLoader_GX_V3_0_AllinOnePackage_IOS249.zip - usbloader-gui - The ultimative All-In-One package for USB Loader GX v3.0 (boot IOS 249) - USB Loader GX: GUI for Waninkoko?s USB Loader (based on libwiigui) - Google Project Hosting. I don't see anything wrong with that sysCheck. It sounds like you've plugged the drive into the wrong USB socket. 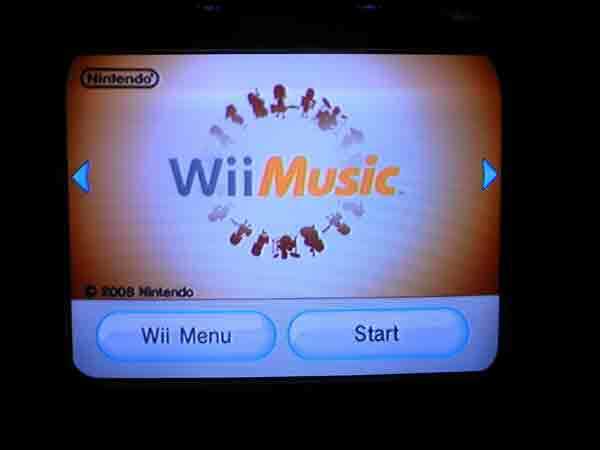 When you plug it in the wrong one it will only show icons of the Wii desktop. "Switching to channel list mode"
The only socket that will work is the one nearest the edge (bottom if you mount the console flat) of the Wii. Thanks for responding! I change the USB socket, and now the Wii recognizes the drive and the game (it shows up on the USB Loader screen as an option) but can't load it (every time I try the Wii restarts and goes back to it's original homescreen with all the channels). There's also no loadscreen for the game (no music or video is played on this kind of screen, it's just black and silent). Am using a Sandisk Cruzer Blade 16GB USB drive w/ only SSBB on it, placed through WiiBackupManager in .wbfs format. The USB drive itself is FAT32. Thanks again! EDIT: It turns out WiiBackupManager installed SSBB to the wrong directory (not under wbfs). Just changed that and everything was cool. Last edited by ThatGun; 9th March, 2014 at 07:08 PM. Well my Super Smash Bros. Brawl - PAL - RSBP01 you have to set the game setting to Force PAL60Hz before it will play. There are a few games you have to change settings. Call of Duty: Modern Warfare 3 - PAL - SM8P52 must run with IOS250.